After trying to blow up a watermelon with a smaller capacitor, my friend Coyt brought over 4 capacitors rated at 20kv and 25uf each. They came from a lab that used to them to simulate the effects of lightning on materials, so this is basically like what would happen if a lightning bolt struck a watermelon! One cool thing I did not point out in the video, is the plasma vortex that happens when we shock the steak the second time. It shoots towards my GoPro. I tried some other things, like wrapping wire around beer bottles caps to see if the shockwave from an exploding wire would open the caps, but the wire kept shorting on itself and it never worked because it never went all the way around the cap. I also tried woodburning with the electricity, but the bolt just travels on the surface of the wood, not inside it, even when soaked in saltwater. 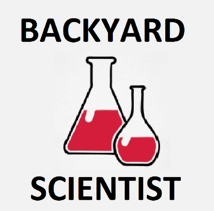 Check out his channel for more mad science videos; most of which involve chemistry, science experiments, technology, fire, and melting things. In a disclaimer he assures us he's a professional and not to try this at home! We're still giving away 30 oz. 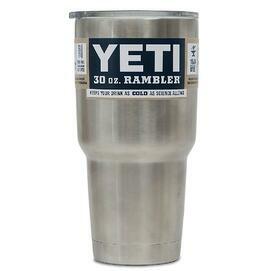 Yeti Ramblers.